Modern hardware and operating systems are making it more difficult to convert actual TRS-80 disks into an emulator (DMK or DSK) format. Reading single-density disks (which is what the Model I used; noting that even double density disks tended to have a single density track 0) is MUCH more complicated. “Modern” computers do not have the crystal needed to generate a single density clock, so they simply cannot read single density. Even those that can will have trouble with TRSDOS 2.x (DAM problem) or NEWDOS/80 v1.x (DAM problem) or NEWDOS/80 v2.0 (Inner Track Problem). The Adaptec 1522 SCSI controller (ISA, non-bus-mastering, NS8473 Controller) can read/write/format FM (Single Density) floppies, including LDOS-format SD floppies. TRSDOS2.3 directory tracks CANNOT be handled on these because of the DAM. The Acculogic ISApport SCSI adapters (SMC FDC37C65) will read 360K Double Density but will not read single density on a 1.2MB HD drive. If you have a 5.25″ drive hooked up to your IBM PC, the following programs can be used to read TRS-80 disks into the DMK/DSK format. If you want to read Model 1/3/4 disks and have a Catweasel card, use Tim Mann’s CW2DMK utility. If you want to read Model 1/3/4 disks and do not have a Catweasel card, use Matt Read’s READDISK utility. If you want to read COCO disks, use Jeff Vavasour’s RETRIEVE utility. Utilizes special hardware called a Catweasel card to read all formats of TRS-80 disks on a PC. Also includes a utility of general use for converting DMK format disks to DSK format. Unofficial build with takes Tim Mann’s v4.4 and adds additional features:  Ability to cache good sectors and output the best possible read,  Ability to continue retrying once the retry count has expired,  Senses MS-DOS Format on Side 2 and ignores it,  Ability to drump raw track data into files. READDISK transfers files from a TRS-80 Diskette to an IBM .DSK file without special equipment. This version can also read Tandy 1000 disks. Please note that not all PC disk controllers are capable of reading TRS-80 disks. This is a limitation of the disk controller, not READDISK. If you have trouble, try running READDISK on other PC’s until you find one that can read your disks. Remember, you only need to read your TRS-80 disks once to convert them to disk images, so be sure to use the “Retry” command heavily. The following programs are over a decade old and regardless of whether or not they even work, the above are much better choices at this point in time. To transfer files from a COCO Diskette to a .DSK image. 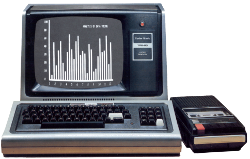 Transfer runs on a TRS-80 and will read/write to IBM PC Formatted 5.25″ disks. The TRS-80 Model 4 Emulator’s virtual disk utilities have been provided free for download in order to allow you to determine whether your PC has the features necessary to read and write TRS-80 floppies directly. The emulator can either access your TRS-80 floppies directly in its floppy drive, or as images copied to your hard drive. Either way, you need to be able to determine whether the PC hardware can read the floppies. Reading, writing, editing and formatting TRS-80 disks on a PC. Reading, writing and formatting PC and CP/M disks on TRS80 models I, III and IV. Are there any guidelines for scanning? Images should be saved as non-compressed TIFF’s. NEVER as JPEG’s. Make sure the text is more or less straight … if its at a sharp angle, please re-scan the page. Make sure each page size is the same dimension. Note: Rotating a scan in an image editor, rather than doing the re-scan, will change the scanned page dimensions. Trim off any unintended dots at the margins. Jagged edges, overscans, etc., all take up space in addition to being useless. If clear those stray items, the pages will look nicer AND will take less space. Note: If you cannot do the “Processing” part, then I will do it for you, but will need the TIFF’s. I can set up a temporary FTP site for you to upload to if you contact me. I have a couple of 5 1/4 floppy disks that have our Christmas letters from 1982 & 1983 on them. I would like to get this data recovered. Any idea where I can go to get this done? I have a TRS-80 Color Computer 3 and an original color computer disk drive, and I got my cassette programs onto disk on my own. However, I have no clue how to get my programs from the floppy disks into a virtual format that I could preserve on modern equipment, and I really wish I could do that. I do have a late 1980s/early 90s DOS/Windows 3.1 PC with a 5 1/4 floppy and a 3.5 floppy, and a late 1990s PC with a 3.5 floppy and a CD-R/W, and a couple of newer machines. But the PC could not read the TRS-80 disks, which I imagine is a problem of format but I am not up on these things. My programs are all basic and I saved them in ASCII format, but I’m guessing the problem is deeper than that. If you have the know-how and the equipment, I’d be happy to pay for a conversion of my disk (I have one disk to convert, at most I may have a second one but as of now I just have one). Thoughts? The link for the “Catweasel” doesn’t seem to work anymore. Is there an update? Hello I have hundreds of 5 1/4 Double Density floppies formatted for MS DOS. I would like to have these converted to a contemporary media, is it possible? It’s for an archive project for a writer.